On July 17, 1930 Cleon Kimberling made his appearance onto this planet with the aid of a neighbor lady. His father was in the middle of harvest in the hot wheat fields of western Nebraska driving a 12 head hitch of beautiful draft horses pulling what was then called a Header. His education to animal behavior and health started in those early years being surrounded with the typical array of horses, cattle, swine, chickens, turkeys, geese, the barn cats and dogs. All of these animals contributed to the livelihood of the farm family. Early in this educational process he experienced first hand an outbreak of equine encephalomyelitis. This technical term was implanted into his vocabulary at about the 3rd grade level when attending the one room country school. At about the same level, another traumatic educational event happened when the entire Poland China swine operation experienced an outbreak of Hog Cholera, now an exotic disease. As this educational process continued he lost his favorite saddle horse to an impaction, which was beyond the ability of the local veterinarian to correct. Later on, his favorite heifer was left with an obturator paralysis due to improper and excessive traction. This was probably the sequence of events that prompted the pursuit of an education in Veterinary Medicine. One of Cleon's first jobs after receiving a degree in Veterinary Medicine was with the USDA Animal Disease Control Division. As a field veterinarian, he spent time tracking down scrapie exposed rams from Canada. While at the farms and ranches, he would palpate the remaining rams for epididymitis as there was no blood test for it then. This came at a time when there was a push to eradicate Brucellosis. During his 6 years with USDA ADCD (now APHIS) there was more education and research at the University of Minnesota where he received a Masters in Public Health. 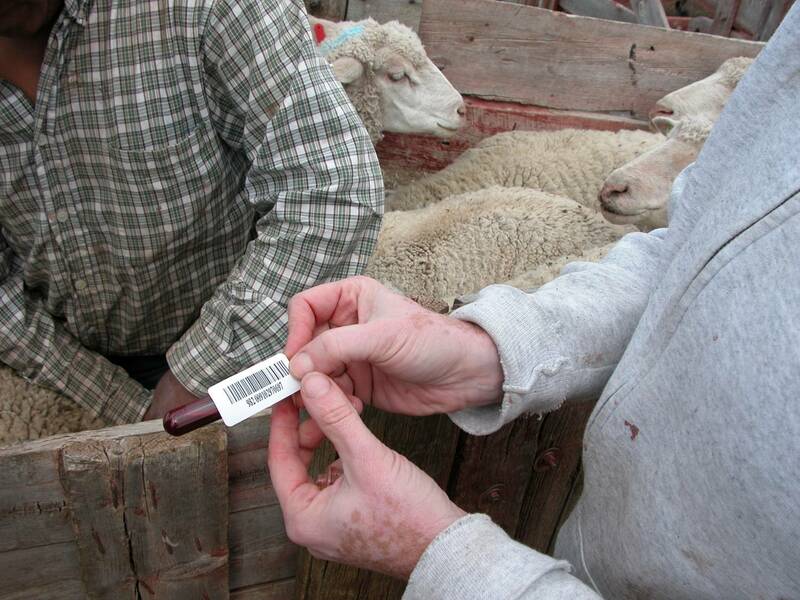 During this time, he and a colleague developed the card test antigen and technique that was used universally in many laboratories and sale barns. His drive was standardization of tests, efficiency and accuracy. Proper animal identification was a constant battle. A need arose for early detection of brucellosis in large dairies in California. Dr. Kimberling, in cooperation with the California Department of Agriculture, developed a testing procedure that was beneficial in early detection using bulk tank samples. The sensitivity of the existing test was adjusted to the number of animals contributing to the sample. His quest for efficiency continued with he and Dr. Gary Rupp developing the K-R Spay instrument, which greatly improved the time and reduced the trauma for ovariectomy (spaying) of heifers. Animal nutrition has always been a passion of Dr. K in promoting a healthy animal. Measuring the micro-mineral levels in the body was a challenge. To more accurately measure the level of these elements, a liver sample was necessary. He developed a liver biopsy instrument and a technique to efficiently collect samples from cattle and sheep as well as an adipose tissue biopsy technique. His work with Radio Frequency Identification Devices along with Dr. Jay Parsons, Geri Parsons and Dr. Wayne Cunningham has set the ground work for reading, scanning, and bar-coding for disease control for state and federal agencies. Jay is President and co-owner of Optimal Ag Consulting, Inc. in Fort Collins, Colorado. Along with his wife, Geri, he co-founded Optimal Livestock Services LLC in 2009 as a wholly owned subsidiary of Optimal Ag focused on meeting the growing services needs of the sheep and livestock industry and assisting producers in optimizing profitability. Jay teaches graduate courses in the Western Center for Integrated Resource Management at Colorado State University and remains active as a stake holder in the family farming operation in Nebraska.